At Home Nursing Care – voted best in home care two years in a row by the North Coast Reader’s Poll – helps clients live a better life at home. Licensed and accredited, they provide caregiving services, personal assistant services, in home nursing and care management. 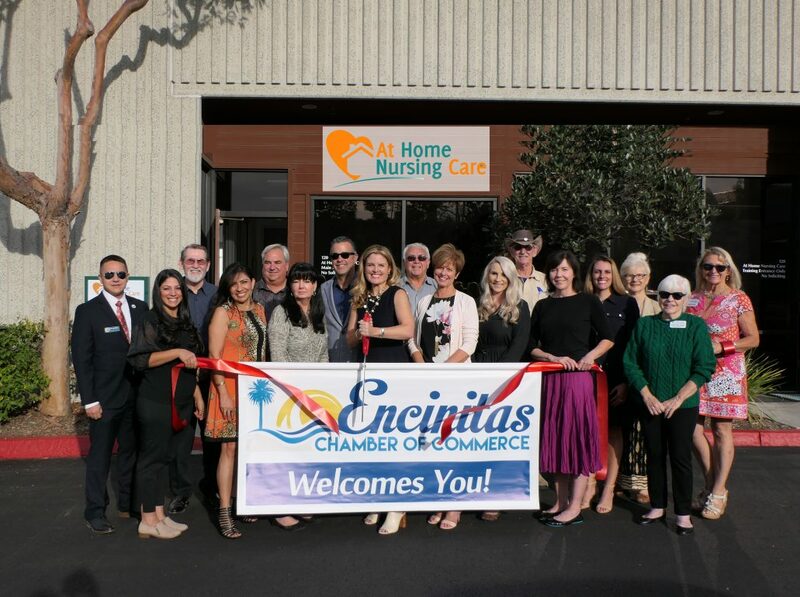 Owner Lauren Reynolds, former 11 time Emmy Award Winning Reporter for ABC 10News, was inspired to open At Home Nursing Care after her own mother’s struggle with terminal breast cancer and need for care at home. This experience prompted Reynolds to retire from her journalism career to launch a high quality caregiving company in 2010. Two years later, Reynolds added skilled nursing at home services, and one year after that, she expanded her company to the West Side-South Bay areas of Los Angeles County. Voted Entrepreneur of the Year in 2013, Reynolds sets her services apart by living up to the ideals of honesty, integrity, responsiveness and excellent customer service. Her employees and clients stay with At Home Nursing Care long term, some of whom have been with her since soon after the launch of At Home Nursing Care nearly 9 years ago. Visit their website to learn more! A graduate of UCSD, Reynolds is also very active in the local community, serving as Chair of the Rotary’s Taste of Rancho Santa Fe and also Chair of the Country Friends’ Giving Hearts Gala. She lives in North County with her husband and two sons.